It’s the ‘hard to get’ myth – that the more a person seems distant and uninterested, the more obsessed we are with them. Many men still falsely believe that acting like you don’t care about her would get you the results you want. That by ignoring her, you would get her to chase you instead. Some men even think that if they treat their woman badly, she would offer them even more love and attention. Well, many men forget the fact that these manipulative techniques could only work with inexperienced girls, and never with real women! A real woman knows what she wants. She is a fulfilled woman that doesn’t have time to play games. If you are ready to be real with her, to love her and treat her the right way, she will do the same for you. On the other hand, if she notices that you are not being honest, that you are playing games and you are not serious about her – she will walk away from you without turning back. Because she knows that when you really love someone you can’t just ignore them. When you love someone, you can’t withhold your love and affection because it is so counterproductive. A real woman loves to be loved and cherished and showered with attention all the time. She wants to be sure that you will have her back and that she can count on you always. If you are not giving her what she needs, she will leave you. Simple as that. Also, many men think that in a relationship best is to not reveal their true feelings to their partner. They forget that the basis of any successful relationship is honesty. And real women value honesty more than anything. They know that they can never have true intimacy with a dishonest partner. So, men, if you want to have a real woman by your side, turn off your cell phone when you are with her and focus only on her. Be caring, loving, and attentive. And always, always treat her with respect. Only by treating her right, she could fall in love with you and reward you with even more love and affection and this could be a beginning of a wonderful relationship based on trust, love, and honesty. Next articleNo More Mrs. Nice Girl – I’m Done Tolerating B*llshit! On behalf of men, thank you for giving us the key to getting women to leave us alone. I’ve been ignoring women for several years now, and I’ve never been happier or more content. Thank you! When you spend all weekend with your woman.. take her out, go hiking, swim with the kids..do so much everyone is exhausted then on Monday she is messaging to say how alone she feels wtf. Rule # 1: The relationship advice that women give about how to treat women should be ignored. I don’t see the bad news here. It’s about time after a million years that women start to learn to do something without men. 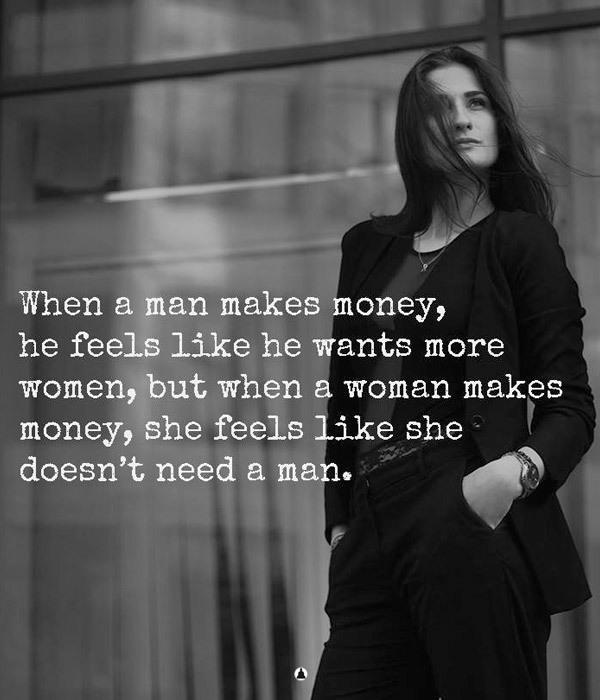 And men are better off without them whining, fickle weaklings anyway.